German & Russian | Heiko Wiggers, Ph.D.
Heiko Wiggers has been teaching at Wake Forest since 2005 and received his PhD from the University of Texas, Austin in 2006. His specialty lies in Germanic linguistics, German dialects, and Business German. Professor Wiggers teaches many courses for the department including the Business German series (329 and 330), the grammar and conversation courses (317 and 318), history of the German language, and enjoys teaching the German Studies film course (335). During the summer semesters he also teaches German for Reading Knowledge, a graduate course filled most frequently by divinity students. 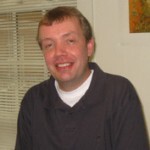 His current research focuses on Low German in general (especially the status of Low German in northern Germany); Language and dialects of German immigrants in the U.S (especially Low German speakers in Michigan, and “Texas German” speakers in Texas), Sondersprachen in Germany (especially “Rotwelsch”), Language Change and Language Decline in general, Dutch; Frisian; and Language Varieties in Germany. He is also working on extending and upgrading Business German; International Business; and pursuing business contacts in the U.S. and Germany for potential internships for promising students. When not busy researching or teaching, Dr. Wiggers enjoys music, playing guitar, working on his new house, traveling, reading good books, learning a new language, sports, friends, family, and going out and home-cooked meals.